Including reed switches for bale full and rear door open sensors. 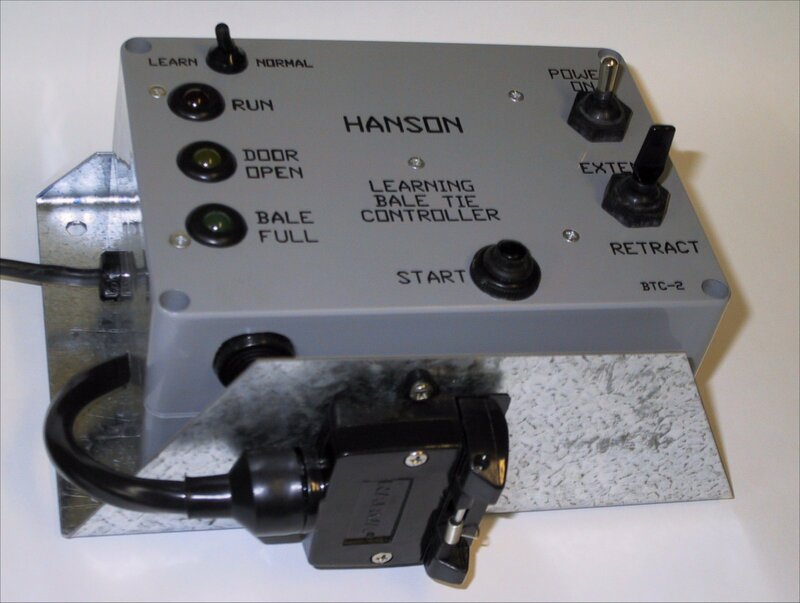 Designed to replace manually controlled round bale controllers, faulty controllers or to upgrade the features on older controllers. It is usable on any brand of baler that uses an electric ram for the tying process. Some brands that the controller is suitable for include GEHL, INTERNATIONAL, VERMEER and NEW HOLLAND. The controller is taught how you want the bale to be tied and up to 10 tie positions can be placed. Consistent and repeatable bale tying. Reduced strain on neck (no need to watch bale being tied). Fully adjustable tie positions, fully adjustable wrap amount. Manual control still available for inserting string or manually wrapping. Weatherproof enclosure allowing controller to be used on tractors without cabins. Audible and visual indication of bale full and baler door open. Simple teaching process. Up to 10 ties with different wrap amounts available for each wrap. Autostarting (if selected) to start the wrapping process automatically after the bale is full.